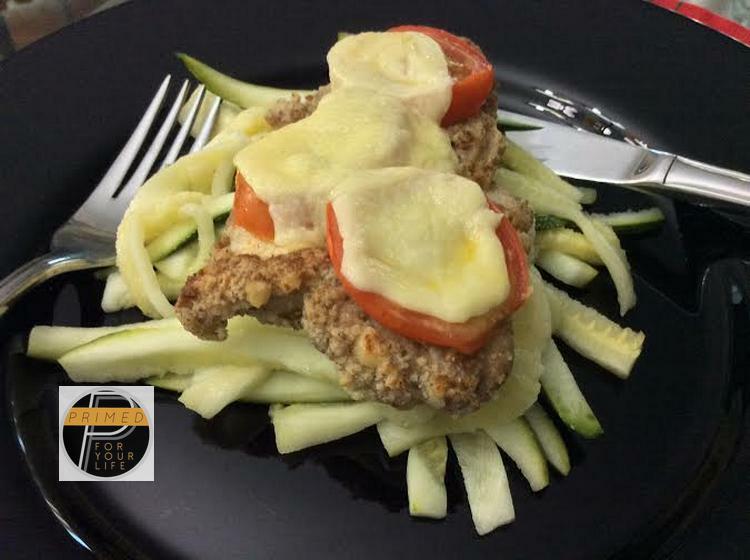 Chicken Parmagiana is an Australian favorite. We used to love ours with fries when we were younger. Vegetable oil soaked fries are potentially deadly so we avoid those, but our whole family still loves chicken topped with home-made tomato, onion & garlic sauce with grilled cheese. What’s not to love about that? 1. 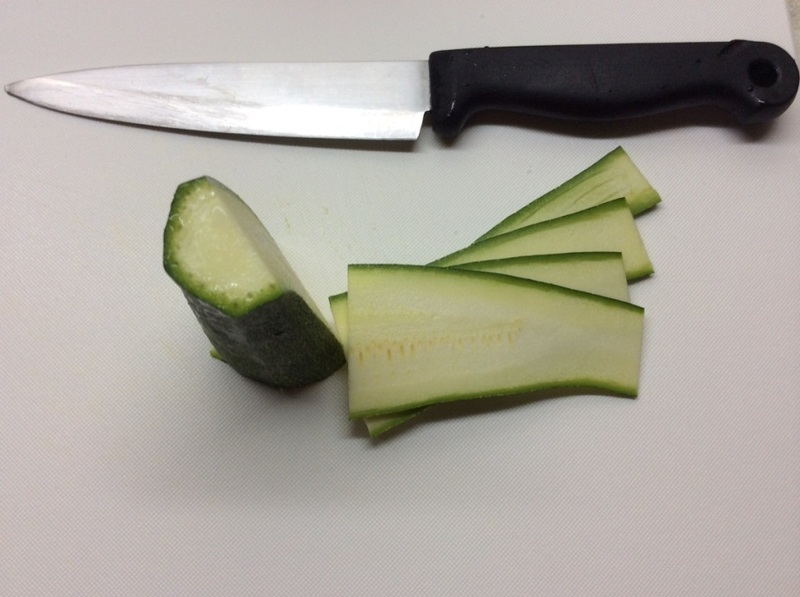 Cut your zucchini into strips as shown below and steam for 10 minutes. 2. 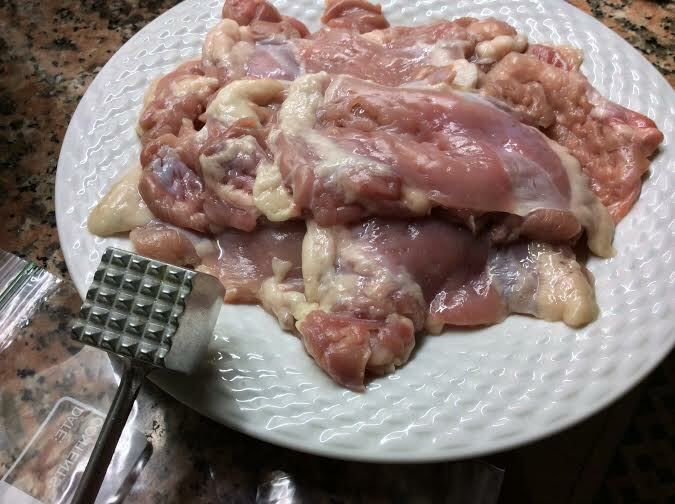 Place your chicken thigh between 2 sheets of baking paper and pound with a meat mallet until about 1/2 cm thick or less. 3. Whisk your 3 eggs and place in a bowl on your kitchen work space as shown above (optional to add a dash of coconut milk). 4. Put your almond flour into bowl and add salt, pepper and all spice. Mix thoroughly and put onto a plate. 5. 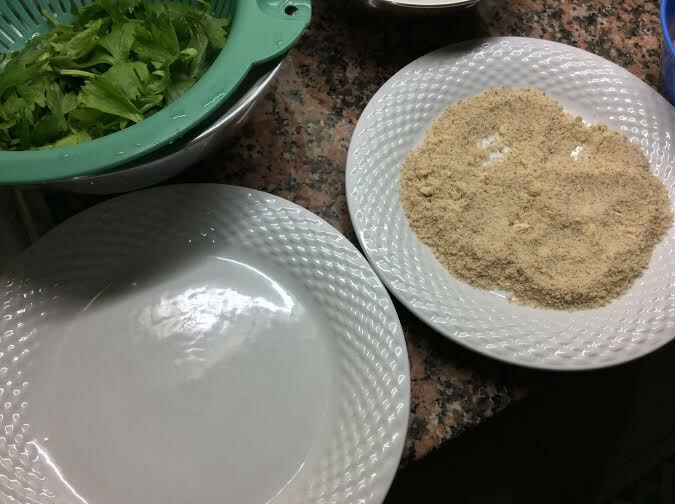 Put your almond flour onto your work bench to the left of your chicken thigh and egg mix. 6. Now the sticky fun begins. 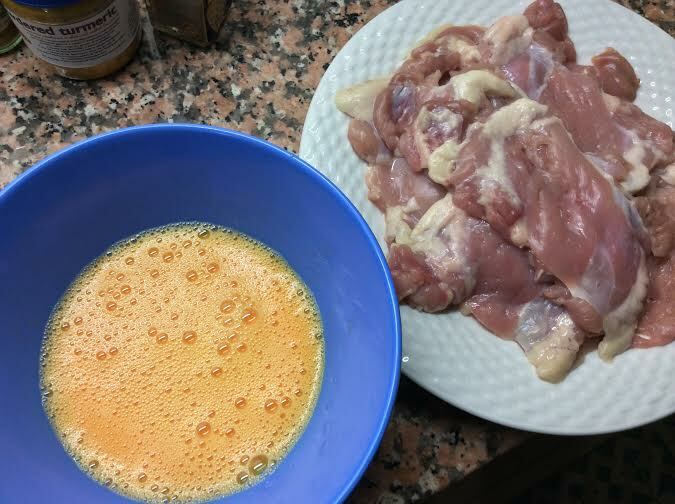 Dip the chicken into the egg mixture with your right hand and aim for into be fully coated. Transfer to the almond flour and spice mix and turn with your left hand. Again, ensure an even coating and transfer to a plate in preparation for frying. Egg wash and almond mixture coat all pieces of chicken. 7. Heat your coconut oil in a large deep pan as shown below. 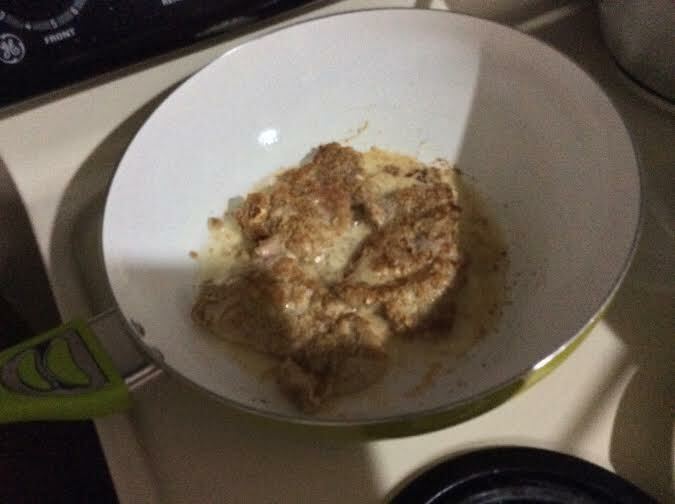 Shallow fry the almond coated chicken for 4 minutes or so each side or until golden brown. 8. Transfer all pan fried chicken thighs to your flat baking tray. 9. 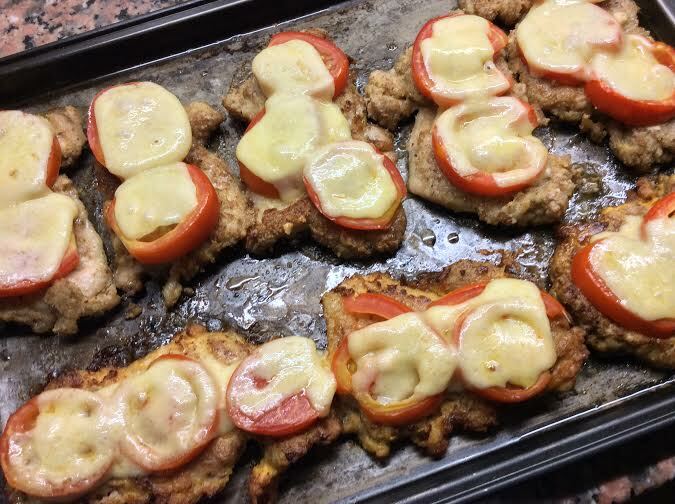 Add your sliced tomatoes onto the chicken and then lay your cheese on top as shown below. 10. Bake in a pre-heated oven of 300 degrees celsius until the cheese melts. 11. 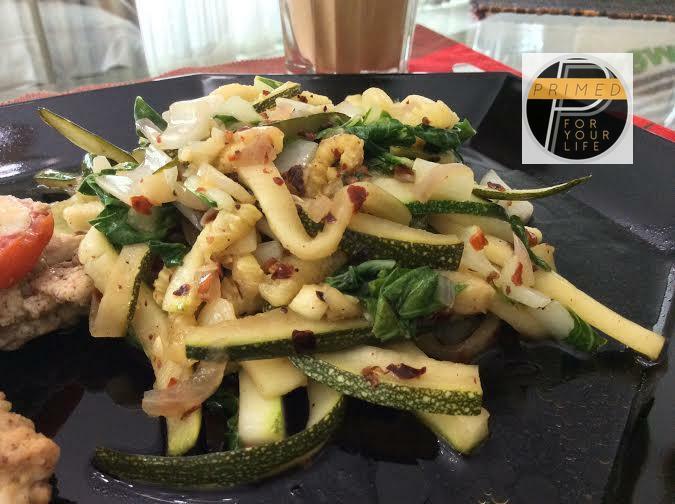 Place onto of your steamed zucchini ready for serving. 1. 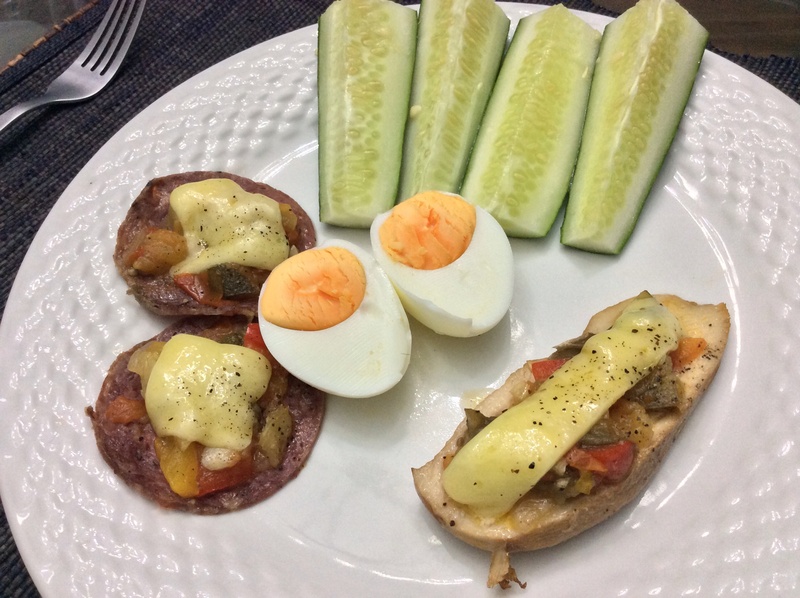 This is a dish that is enjoyable for breakfast, lunch and dinner. 2. It also tastes nice cold and does not have to be heated. 3. Also a tasty dish for the Primed lunch box of your loved ones. 4. 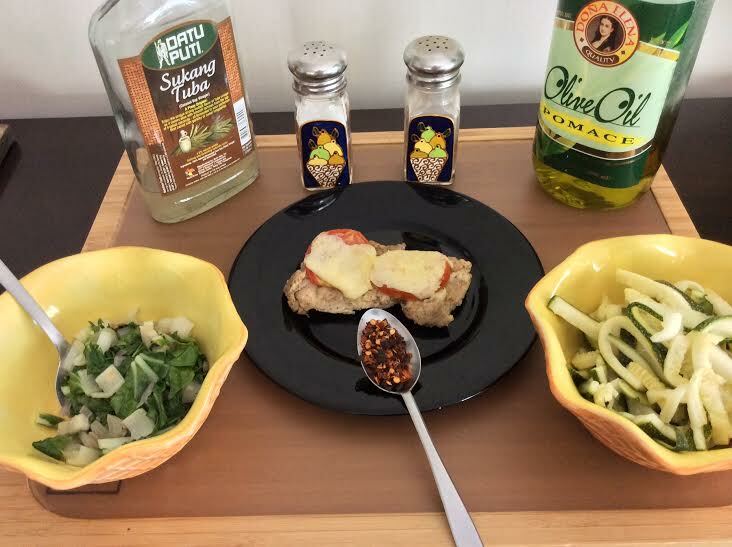 You can easily add chili and other spices to further enhance your Zucchini Noodles as shown below. 5. We even put our Primed Ratatouille onto our chicken with grilled cheese.